Here are the Mobile Marketing Stats of the Day that I’ve shared so far. Click on the Mobile Marketing Stat of the Day to read the details — and to get the mobile marketing tip that goes with it! Mobile Marketing Stat of the Day: Forbes Mobile — Mobile visitors to Forbes.com accounted for 51% of all visits (39% smartphones and 11.5% tablet) during the first week in May, 2014. Mobile Marketing Stat of the Day: April 24, 2014 — 77% of Facebook’s monthly active users now access Facebook via their mobile phones and tablets. Mobile Marketing Stat of the Day: April 22, 2014 — LinkedIn expects that 50% of its user traffic will come via mobile by the end of 2014. Mobile Marketing Stat of the Day: April 21, 2014 — 57% of online U.S. adult smartphone owners who see ads in apps say the ads interrupt their user experience, and only 20% feel the ads are relevant to them. Mobile Marketing Stat of the Day: April 20, 2014 — When users were asked how often they access the Internet via their smartphone, 58% reported several times each day, while 21% said at least once a day, 12% said weekly, 3% said monthly, and 3% never accessed the Internet via their smartphones. Mobile Marketing Stat of the Day: April 16, 2014 — By December 2015, mobile devices will account for 50% of all paid search clicks on Google (in the United States). By 2016, mobile devices will account for 50% of all paid search clicks on Google. Mobile Marketing Stat of the Day: April 11, 2014 — Consumers will spend $626 billion via mobile devices in 2018, up from $204 billion this year. Mobile Marketing Stat of the Day: April 10, 2014 — iPhones and iPads accounted for half of all emails opened during the last half of 2013! Mobile Marketing Stat of the Day: April 9, 2014 — Smartphone adoption in the U.S. has reached almost 50% of Americans. Mobile Marketing Stat of the Day: April 8, 2014 — Pinterest users spend 92% of their pinning time on mobile devices. Mobile Marketing Stat of the Day: April 7, 2014 — 50% of people using a mobile device use it as their primary search AND Internet tool. Mobile Marketing Stat of the Day: April 6, 2014 — In just a week, Microsoft’s Office suite on the Apple iPad was downloaded more than 12 million times. Mobile Marketing Stat of the Day: April 5, 2014 — Compared to other smartphones, iPhones had 17% higher CTRs while delivering CPCs 1% lower. Compared to other smartphones, iPhones had 17% higher CTRs while delivering CPCs 1% lower. Mobile Marketing Stat of the Day: April 4, 2014 — Mobile devices now account for 53% of Facebook’s ad revenue. Mobile Marketing Stat of the Day: April 3, 2014 — The share of Google paid search clicks from mobile devices rose to 34.2% in December 2013. The share of Google paid search clicks from mobile devices rose to 34.2% in December 2013. Mobile Marketing Stat of the Day: April 2, 2014 — Smartphones have penetrated 60% of the market for phones worldwide. 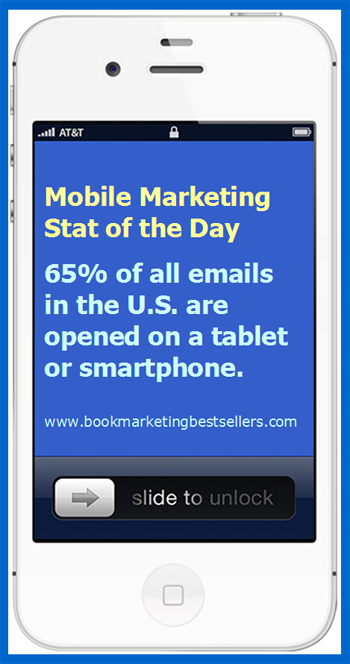 Mobile Marketing Stat of the Day: April 1, 2014 — 65% of all emails in the U.S. are opened on a tablet or smartphone. Mobile Marketing Stat of the Day: March 31, 2014 — Over 70 billion mobile apps have been downloaded thus far! 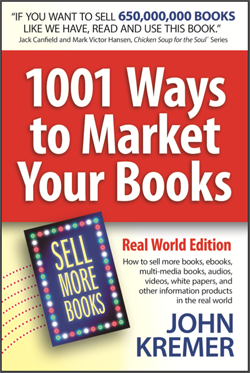 Mobile Marketing Stat of the Day: March 30, 2014 — Mobile phone penetration, as measured in the number of subscriptions, has exceeded the total population of the world.